A Birmingham MP has described the development of a £125 million new Birmingham City University campus as a “vanity project” and called for it to be stopped. 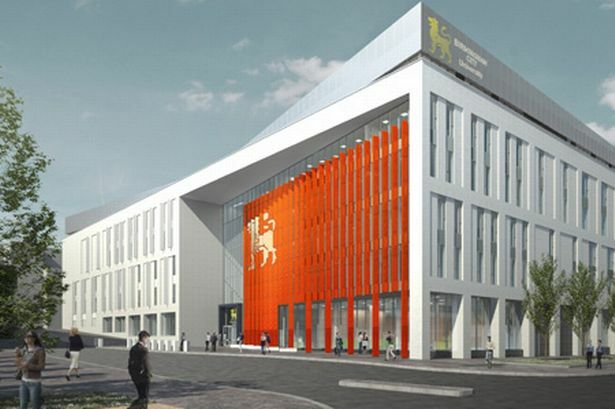 Perry Barr MP Khalid Mahmood wants BCU to remain in his constituency instead of moving to a new site near Millennium Point in the city centre. He believes the change will hit the Perry Barr economy and described spending public money on new buildings as a “waste” when the higher education sector is facing funding problems. Mr Mahmood is to make formal objections to the BCU’s planning application being submitted this week – questioning the suitability of the new site. He said: “This is all about a project for the pro-vice chancellor and management, about their egos, not about the students. I would ask why are we spending all this money now? “They are moving to a site with a smaller footprint than they have at Perry Barr. There is insufficient parking for the thousands of students and teachers. He said that the Perry Barr campus buildings are 30 years old and still fit for purpose. “There is plenty of space available on site and nearby for expansion if needed,” he added. The planning application for the new campus is submitted this week and, if successful, it will be built and the first phase ready to open to students in September 2013. A later phase will follow two years after. Halls of residence for nearly 1,000 students and the new £8.5 million Doug Ellis sports centre will remain in Perry Barr. Students opposed to the move have launched a Facebook campaign to keep the current location. The university argues it is moving to enable it to place itself in the best position to deal with the future challenges. A spokesman for BCU said: “By bringing together our facilities in state-of-the-art buildings we will deliver our on-going commitment to improve the student experience and create a stronger and more integrated learning community. He said that the future of the Perry Barr campus will be discussed with the local community and businesses. “As yet options are still open. However, it is our intention that the halls of residence and the sports centre will continue to operate on the site,” he added.